Do you loathe the time of year when Valentines Day is just around the corner? What if I gave you a magic wand that could materialize your dream relationship. Would you still dread that euphoric day full of celebrating Love? 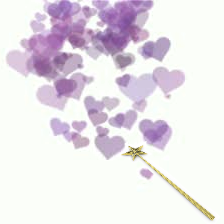 Here is a piece of your magic wand. How far will you go to attain the rest? They Don’t Know What They Want! One of the first and most important steps to materializing your dream relationship is to get clear on the type of person you desire to be with. To bring in a nice analogy~ If you were to desire a new car and you have all the money you need to buy it, would you just go down to any car lot without knowing the make, the model, the color, and the features of the car you want and all the while crying about how hard it is to get around without a car?! NO! Do you usually just go down to any old restaurant not knowing what kind of food you want to eat and order any random thing off the menu, hoping that it will taste good while feeling sad about how hungry you are?! Probably Not! … and if you do exhibit this kind of behavior, you may have reached a level of deprivation that pushes your sanity to act haphazardly or irrationally. Is this true of your love life? 1. Who is your soulmate? Well if you don’t know than no one does. Many people might tell me, “Well, God knows who my soulmate is,” and to that I would say, “God wants you to have the things you desire so you might as well tell it what you want.” Having a conversation with reality is like talking to another person, the more specific you are, the easier it is to understand your desire and bring it to you. The more vague you are, the more difficult it is to bring you what you want. Have you been vague with your love life? Get clear on the type of person you want to be with~ Physical features, along with mental, emotional, and spiritual features, qualities and characteristics of their personality, their hobbies and interests, etc. Make yourself a nice long list and post it up in your bedroom or someplace where you will see it every day so you can remind yourself what you are looking for when you awaken to a new day. You might like to modify your list later. Focus on the features you DO want rather than the ones you don’t want. Oh and, this should probably represent a realistic profile of someone that could possibly exist on Earth, if not just skip to number 3. After you have gotten crystal clear on what kind of person you want, now it is time to go fishing. There are about 7 billion fish in this world, each one is unique. Let’s find one you want to catch. Now, if you want to literally go fishing, do you just go down to any old body of water with hodgepodge equipment, hoping there are fish in the water and that you’ll catch the one you want!? Do you cry about the ones that get away or feel jealous of the other fishermen (fisherpeople) who have caught the fish you want to the point where it hinders your own fishing trip?! NO! Think of the type of person on your list. Where do they hang out? Where do they shop? What kind of classes, workshops, or events do they attend? If your soulmate is not the type of person who hangs out in bars hoping to pick up a date, than don’t use this as one of your fishing methods. If your soulmate is not someone who is in love with your best friend, sibling, etc than don’t go wishing you had “Jesse’s Girl.” Start attending events, workshops, and fun activities that interest you. You might meet them there. Your life can literally change in one day if you were to meet the person you grow to discover is your soulmate. Deprivation and lack of lovers is an illusion so step through the visage of not having enough and see that options and opportunities are all around you to meet Mr Right, Ms Right, or Ze Right. If you aren’t happy being alone with you, than how can you expect someone else to truly be happy with you? Treat yourself like your own best lover. Have fun with you! Take yourself on dates (you might meet your soulmate on your date). Buy yourself special things. Pamper yourself. Listen to your favorite music. Care about yourself like you would want your soulmate to care about you. Live your life as if they are already in it- for instance, if you’re going to see a show, buy two tickets, if your soulmate doesn’t come along, take a friend instead. Prepare to have a dinner for two on Saturday night, if your soulmate doesn’t show up, than you’ve got leftovers, yum! Wear the kinds of clothes you would want to be wearing if you were to meet your soulmate (after all, you could meet them at any time). Expect that you will meet them very soon, and if a long time passes without them, do not get discouraged, figure out how to upgrade your fishing skills. 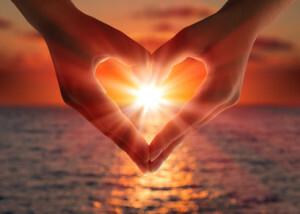 Goddess Allison helps heal heartache in love and money so you can become your own genie and make all your wishes come true. 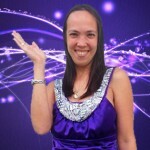 She teaches you how to use the principles of the Law of Attraction to experience the reality you desire. 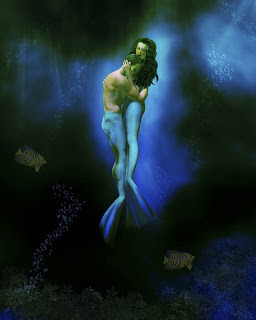 If you are interested in hiring a valuable guide to bring in the love of your life, Goddess Allison is at your service. 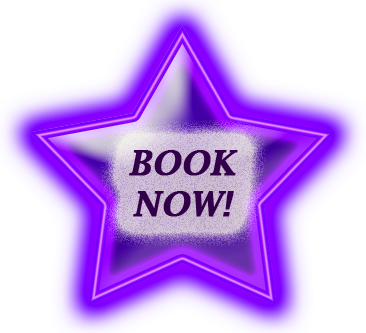 For a 30 minute introductory consultation, click the Book Now Star to the right and schedule a Manifesting Session.